Representatives from across the supply chain have given their reaction to the Red Tractor announcement. “This new advertising campaign will raise the profile and understanding of Red Tractor, farmers and the fantastic job they do producing the nation’s food to high levels of animal welfare and environmental standards. “Red Tractor’s new modular approach to assurance will give producers a one stop shop for their assurance needs and help to reduce the burden placed on them. There is also the potential to offer a clear and comprehensive labelling scheme for shoppers. “I welcome this announcement from Red Tractor Assurance. It’s reassuring to see a robust response to a number of recent damaging claims that risk undermining the value of the scheme, and its also good to see other new initiatives underway. The principle of a more intense inspection regime involving unannounced inspections on high risk farms, is one I think the NSA would support as long as it is recognised that sheep farms are regularly run single handed and that unannounced inspections need to be practical and considerate. 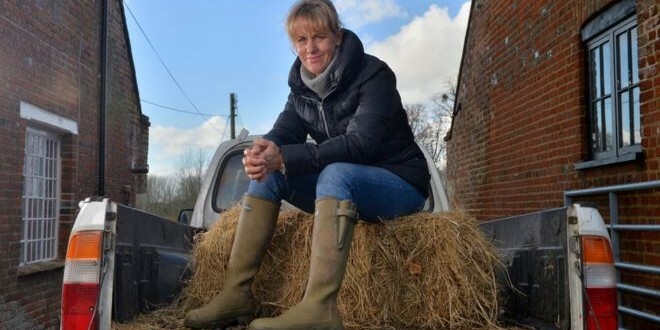 “Red Tractor provides an invaluable link from farmers and growers to consumers, giving them confidence that what they are buying is traceable and meets standards on matters like animal welfare and the environment. “We welcome Red Tractor’s announcement and applaud any measures which aim to bolster consumer trust over the way our food is produced. Animal welfare, traceability, food safety and concerns over the environment are key issues for Co-op members and customers and we remain committed to sourcing Red Tractor certified produce for sale across our 2,500 stores.